Watch a makeup artist at work, and you'll notice that there's a very strict order in which they apply different products. You'll likely see them apply eye shadow, liner, and mascara first before moving on to things like concealer, foundation, and blush. If you've ever wondered whether there's a rhyme or reason to that order or if it's just personal preference, then you're not alone. That's why we reached out to a couple of expert makeup artists to pose the question: Does it really matter which order you apply your makeup in? More specifically, what about concealer and foundation? Those are two products that many people use almost interchangeably. Some start with concealer first and then pat foundation over the top, and others prefer to go with foundation first and spot-conceal after their base is applied. What's the right way? Trick question: There isn't a right or wrong when it comes to makeup. Everyone knows that, right? You do you. But with that being said, there are a few (of what we will now call) best practices. These are tips and tricks you can use to ensure the best possible result. It's in that vein of thinking that experts recommend a specific application order. "I always start with a light layer of foundation everywhere except the eyelids in which case I like to use an eye primer," says makeup artist Min Min Ma. "By applying foundation first, it minimizes excessive use of concealer." As she puts it, the less face product you can use, then the more natural the skin appears. The only time she mixes that order up is when she's working on the under-eye area. "When applying concealer under eyes, I like mixing the product with a bit of foundation to dilute the consistency," she says. Makeup artist Stevi Christine agrees. "How I see it is the overall look is achieved with foundation applied first." Then apply concealer "where you feel needs a bit more coverage" like on the under-eye area or on dark areas and pigmentation. If you do concealer first, Christine says it may move once you put foundation over the top, which defeats the purpose and requires even more product. This "will tend to make your makeup application a bit heavy in appearance." As for the particular formulas that makeup artists recommend, Min Min Ma likes this luxurious pick (which can be used as a foundation or concealer). 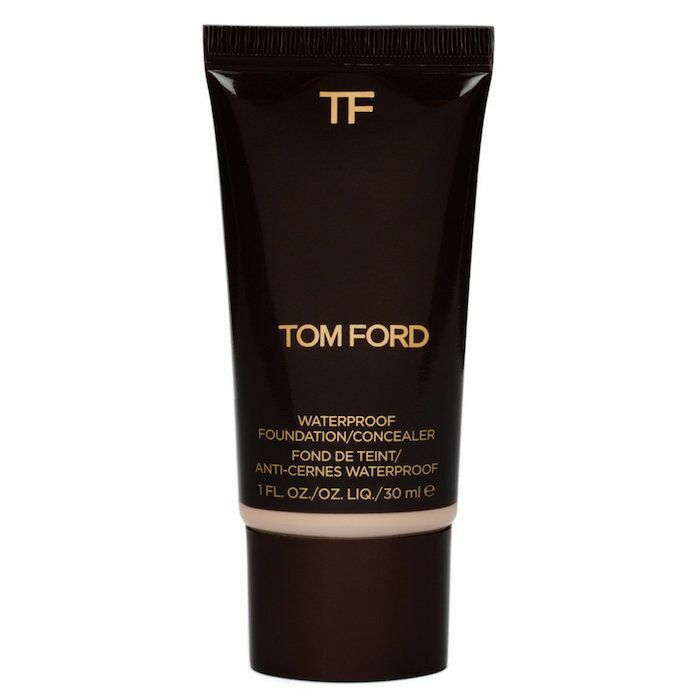 "My go-to blemish concealer is Tom Ford Waterproof Foundation and Concealer. The texture is matte and has great coverage but looks very natural. For under-eye darkness, I like creamier consistencies such as Cinema Secrets Concealer ($36) and Nars Radiant Creamy Concealer ($30). How foundation and concealer perform also greatly depends on how you set it. I love YSL Poudre Compact Radiance Perfection Universelle ($48), Charlotte Tilbury Air Brush Flawless Finish Skin Perfecting Micro-Powder ($45), and Mally Powerless Face Defender ($40)." As for Christine, she says she's also "obsessed" with the Tom Ford foundation, which leaves a dewy finish. 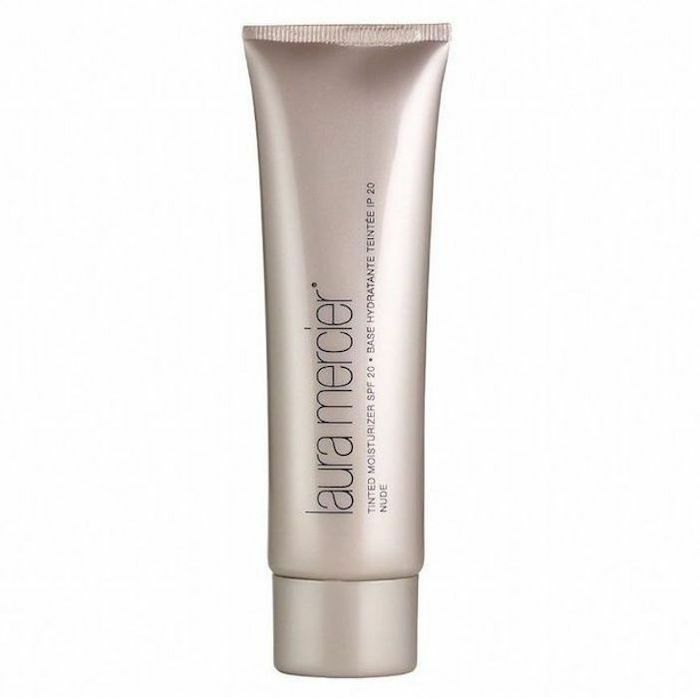 She also recommends this tinted moisturizer from Laura Mercier. "I personally use a tinted moisturizer year around, because this way I’m guaranteed to have SPF," she says. For concealer, she likes Clé de Peau Beauté Concealer ($70), which is rich and creamy and a favorite among Byrdie editors. As for the rest of your makeup application order, Christine is quick to note that "makeup is similar to painting—there’s no ‘proper order.' Yet coming from an artist who believes less is more and believes in accentuating your personal features, I start with filling in eyebrows, as this not only shapes the face, but it also provides definition to the eye area." From there, she goes to eye makeup. "This is especially great when creating a bold eye and or smoky eye (in case any eye shadow, eyeliner, or mascara falls or flakes, you won’t need to reapply any face makeup)." Only after these steps are complete does she move on to foundation and then concealer. "I think if your eyes and eyebrows are done, you tend to be less heavy-handed and use foundation and concealer sparingly. Plus, I personally love freckles, so if you have freckles, I make sure not to hide them." The same goes for Min Min Ma, who concentrates heavily on skincare before adding even a touch of makeup. "I start prepping the client’s cleansed skin first with Lilah B. Aglow Face Mist ($48), and as it dries midway, I massage Chanel Hydra Beauty Flash Balm ($55) onto the skin, " she says. "If the client has an oily complexion or needs the makeup to last extra long, I also apply YSL All Hours Primer ($58) especially to the T-zone." Next, she applies either Kate Somerville's Goat Milk De-Puffing Eye Balm ($38) or the brand's Wrinkle Warrior's Eye Visible Dark Circle Eraser ($60), layering over it with G.M. Collin Instant Radiance Anti Aging Eye Patch ($42). "This step is great to treat under-eye puffiness and darkness, while the eye patches catch any eye shadow droplets from the makeup application." After eyes, she moves on to face makeup (i.e., foundation and then concealer). But there's a catch: "Do mascara last since face powder or blush can easily get caught onto the lashes." So there you have it. In the class of makeup best practices 101, makeup artists recommend applying eye makeup first before moving on to face makeup with foundation first and then (and only then) concealer. Ask a Makeup Artist: What Are the Best Foundations for Large Pores? Ask a Makeup Artist: How Do I Fix Broken Makeup?